I won a copy of "Sadie's Gift" from Overcoming With God and was gifted a Kindle copy from Carrie Pagels. 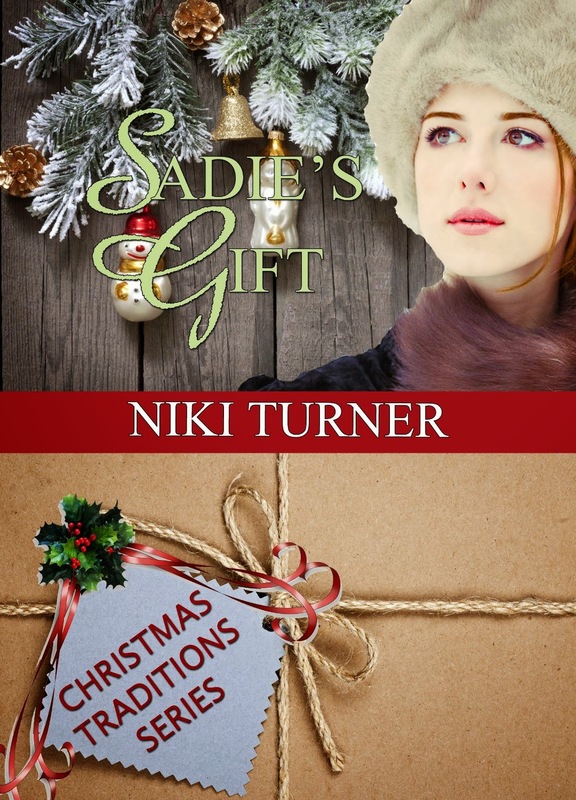 "Sadie's Gift" is set in 1921 Colorado Springs. Sadie Hubbard is a nurse in the Preventorium for children who have been exposed to Tuberculosis. Her heart is burdened for their happiness, especially as Christmas draws near. As she sets out to make sure they have their share of Christmas joy, she inadvertently causes Nathan Wells to have an accident. He angrily demands she pay for the repairs, which adds more for her to worry about. As their plans for Christmas are suddenly thrown together, will they find a way to move past the hurts they both carry to find their own Christmas joy? Sadie's Gift covered a topic that I was not very familiar with--TB. I did not realize that they had Preventoriums for those who were most at risk for contracting TB. I think that Niki Turner did a good job in covering the topic and both Sadie's and Nathan's reactions to the disease. The characters were real and had pains and heartaches that they needed to deal with. Sadie had a quiet strength that others relied on. It was a fun, quick read that I would recommend to others who like Inspirational romances. 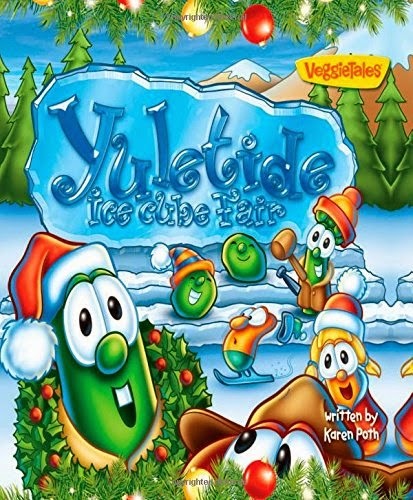 "Yuletide Ice Cube Fair" by Karen Poth is a VeggieTales book. It has all the characters and crazy antics that you've come to know and love from the VeggieTale movies. It is told as a fable or legend of what happened long ago when the town held their Yuletide Ice Cube Fair. My kids laughed as each entry was revealed in the ice sculpting contest of what Christmas meant to each character. We enjoyed the colorful artwork and the message of the book of what Christmas truly means -- Jesus' birth. The book is written in rhyme which keeps the pace of the story going and the kids engaged in the words. The recommended age range of the book is 4-8 years, although I think younger kids would enjoy having the story read to them as well, especially when they are familiar with Bob and Larry and the rest. I received a free papaerback from ZonderKidz for me to review through their ZBlogSquad. All the opinions are my own honest thoughts. 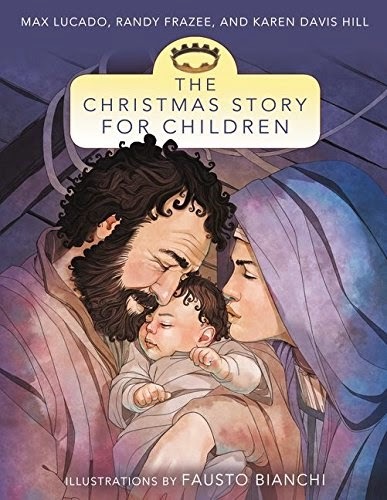 "The Christmas Story for Children" by Max Lucado, Randy Frazee, and Karen Davis Hill is a nice version of the Christmas story. I like how it starts out telling about the promised Messiah that the Jews were waiting for and how when the time was right, God provided special people to welcome His Son. The subject of the virgin birth is covered in a way that young children will understand ("How can this be, I'm not married yet.") This story covers how an angel appeared to Joseph in a dream to tell him that the Holy Spirit caused Mary to be pregnant. There was the usual trip to Bethlehem on a donkey and the inn keepers telling them there is no room in the inn. As is also usual, Mary gave birth the night they arrived in Bethlehem (see my pet peeves about Nativity stories here) I liked the angels that appeared to the shepherds and how their wings were almost invisible (and were clearly male). This book doesn't cover the wise men coming at all. One thing I really liked about "The Christmas Story for Children" was that it covered Jesus' baptism and the beginning of his earthly ministry. The artwork in the book is very colorful and clear. They look like watercolor paintings. ;One picture that I did not like was when Jesus was being baptized, it has him only mostly submerged with John pouring water on His face. There is also a LOT of curlicues. It made the sheep look more like goats with the long curly fur. I received a free paperback copy of this book in exchange for my honest review. All opinions are my own..
"The First Christmas Ever" is taken from the Read With Me Bible with illustrations by Dennis Jones. The pictures are bright and colorful and reminiscent of a comic book with skinny arms and legs and big chiseled jaws for the guys. They looked familiar to me and then I realized that Dennis Jones had done the illustrations for the NIrV Super Hero Bible I'd reviewed before! Overall, I thought the book was a cute book for young children. I tend to have some pet peeves about books of the First Christmas. Shepherds seeing the "Natal Star"
And these don't include the "we don't know" factors of how they traveled to Bethlehem (usually portrayed as Mary riding a donkey), what the inn keeper said, how many wise men there were (portrayed as 3), etc. 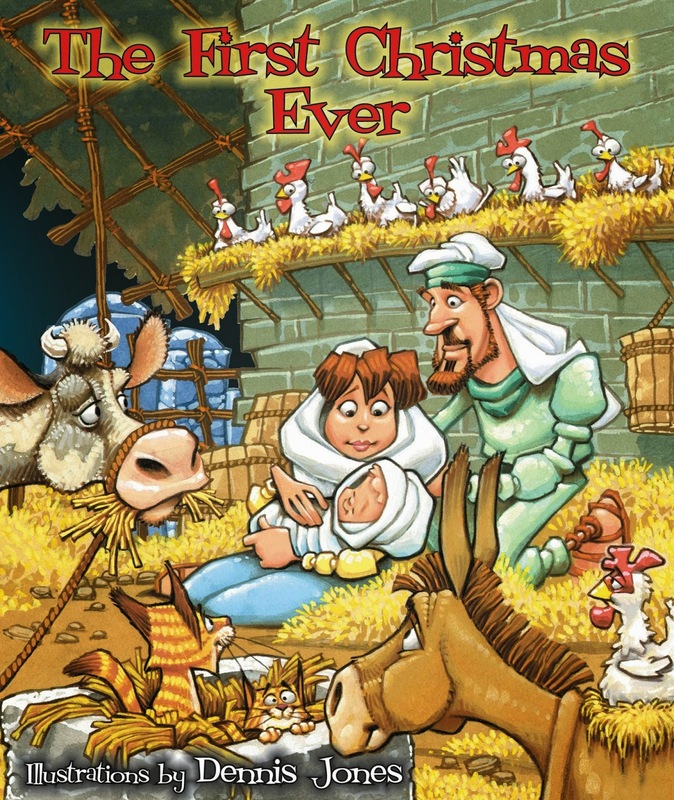 This book has 2 of my pet peeves, those of Jesus being born the night they arrived (I've never seen a book that didn't show this) and the shepherds seeing the star. I am very glad that it does at least show the wise men visiting when Jesus is a young child as that is what the Bible says. These things didn't keep me from reading the book to my kids, but I did discuss the things that differed from the Bible. I received a free paperback copy of this book from the ZBlogSquad in exchange for my honest opinion. I helped with the 3 oldest kids' class Christmas parties (Andy's class watched a movie and didn't want helpers). The boys had their music program this month (the girls will be in the spring). As usual, we let the kids do their stockings and a small gift on Christmas Eve. This was the weather we had on Christmas Eve! And it documents the gas price at the time! The girls have had "Raggedy Andy" on their wish lists for years. I finally got some made for them. Oh! It's the full version of Minecraft!! My poinsettia did have a few red leaves for Christmas! They look so sad compared to when I brought them inside in October! We gathered in our church's Fellowship Hall which made it really nice! Our lights on the house (with flash) And, yes, that is green grass and NO snow!! 1000 Posts and a Giveaway!